Don’s Garage Doors serves the greater Denver metro area, and has hundreds of great customer reviews on Yelp, Google+ and Facebook. And we are very proud that Don’s Garage Doors has an A+ Accreditation at the Better Business Bureau. Call us when you need a new garage door installed or require service on your existing garage door. With over 102,000 satisfied customers, we can tailor our garage door installation and repair services to fit your individual situation and needs. When a friend used Don’s recently and was pleased I remembered that I had Don do repairs many years ago. So when I needed help yesterday I called and I was very pleased with Seth and his service. He is a real asset to your company. I will recommend you. I have had multiple calls out to Don’s Garage Doors, and every time I have been impressed. Their prices are extremely reasonable and their work is top notch! Thank you for everything that you guys do! Keep up the excellent work! We had a new door installed last week and couldn’t be happier with it. Kevin took the time to reconfigure our panels so that we could have the carriage hardware that I wanted. Our door was a tad smaller than the average door, so it was a bit of a challenge. It looks wonderful! I’ve used Don’s for years. They are always friendly & on time. Prices are reasonable as well. Today Seth repaired my opener – he’s great! Quick and easy. Sam was amazing to work with. He took the time to explain everything and was upfront about all the costs and my different options. I would definitely recommend to all my friends and neighbors! These guys were fantastic. I called them at 9:00 am on a Saturday, my door springs had failed the previous night. They told me that they were booked up for the day and scheduled me for a repair on Monday morning, but mentioned that if they had a cancellation or extra time they would work me in. By 9:45 I received a call back saying that they indeed did have time to get my repair done. Excellent Service by Sam! Prompt and extremely knowledgeable. Fair pricing! Thank you! My garage door has been having issues specifically in the cold getting stuck 1/2 way. I was directed to Don’s Garage via my home warranty. They were great scheduling me on a Saturday morning. Called and arrived right within the time frame promised. The technician Kevin was fantastic – not only was he friendly but he also efficiently took care of the work and was great explaining what needed done. They did it at the cost promised. Very happy. Do You Need Garage Door Service or Repair? Don’s Garage Doors is the only garage door company in Denver personally endorsed by Dave Logan – Please watch the video to learn more. 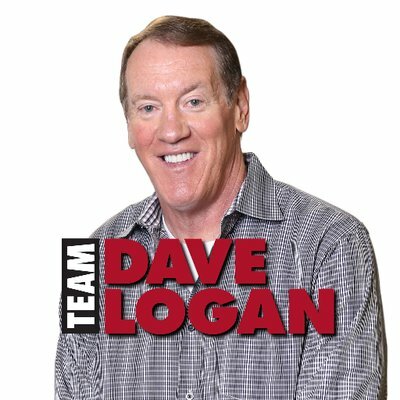 Each company on TeamDaveLogan.com has passed an extensive interview and pre-screening process that occurs annually. Although they hold their companies to a higher standard, the team at Don’s Garage Doors encourages you to do your own due diligence. Read online reviews of garage door repair companies, ask your friends and family members and talk to your neighbors about who they use for garage door repair and service. Once you do, we’re confident you’ll choose Don’s Garage Doors. 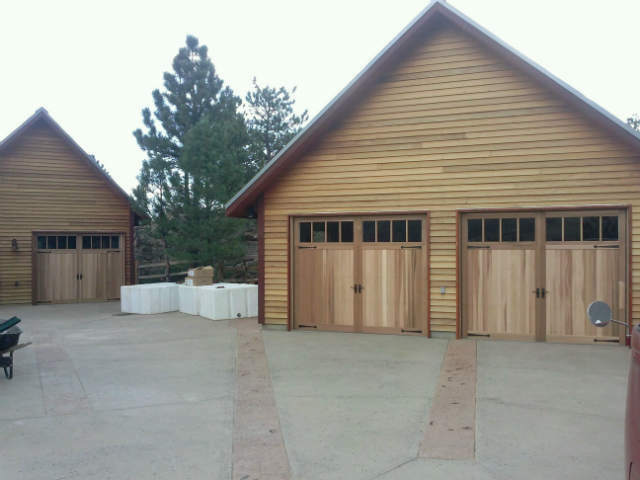 Don’s Garage Doors is the only garage door company in Denver personally endorsed by Dave Logan. We also have a 5-Star Rating on Yelp with over 130 reviews, a 5.0 Star Rating on Facebook and a 4.8 Star Rating on Google+. So, wherever you prefer to read online reviews and customer testimonials about garage door repair and service, you’ll find dozens of happy Don’s Garage Doors customers. Don’s has been taking care of homeowners in Denver since 1989 and we have over 102,000 satisfied customers. 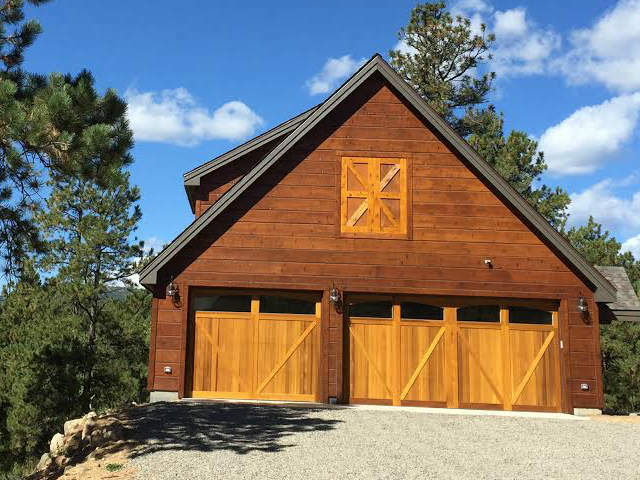 We feel that we’re the best garage door company in Denver — but don’t take our word for it. Read all of our 5-Star Reviews on Yelp, Google and Facebook and decide for yourself. Call Don’s when your garage door won’t open or close. We have the experience and expertise to handle all of your garage door problems! 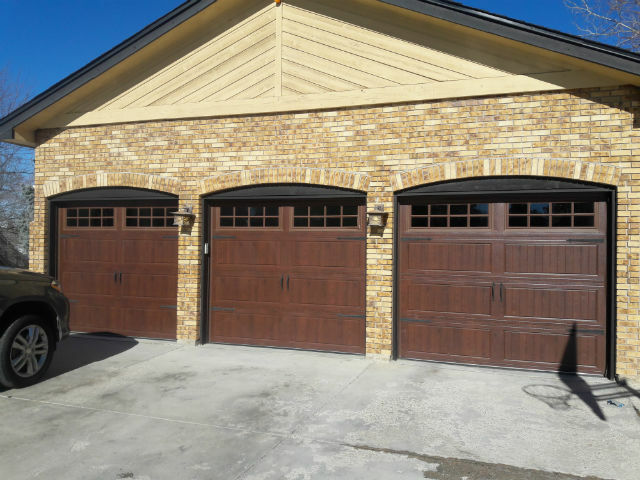 Garage doors from CHI Overhead, Martin Garage Doors, Northwest Door & doorLink Garage Doors. Call Don’s Garage Doors when you need to buy a new garage door. We only sell the best garage doors from the best companies. Professional garage door installation guarantees years of trouble-free operation. Expect the best when you call Don’s Garage Doors. We never use contractors and all garage door techs are highly trained. Does your garage door sound like a pterodactyl when it opens and closes? Call Don's Garage Doors. Call us when your garage door is noisy, off-track or won’t open or close properly. Garage door won't open or close? Do you have a broken garage door spring or is your door off its track? Broken garage door spring? Garage door opener not working properly? Give us a call. Why Choose Us for Garage Door Installation, Service & Repair? Because 102,000 Don’s Garage Doors fans can’t be wrong! 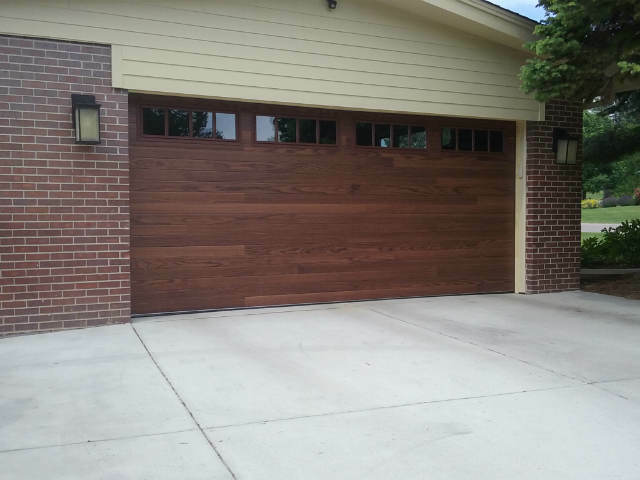 We’ve been taking care of homeowners in the Denver area since 1989, are locally-owned and service all brands of garage doors. Click on the links below to learn more. Click on the icons below to read or leave a customer review of Don’s Garage Doors on Facebook, Google and Yelp. We’re an A+ Accredited business with the Better Business Bureau, and we’re proud of our 5-Star ratings. 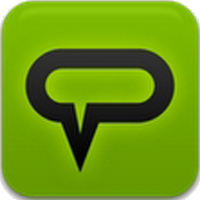 Read or leave a review on with the Better Business Bureau. Don’s Garage Doors is the only garage door company in Denver personally endorsed by Team Dave Logan. 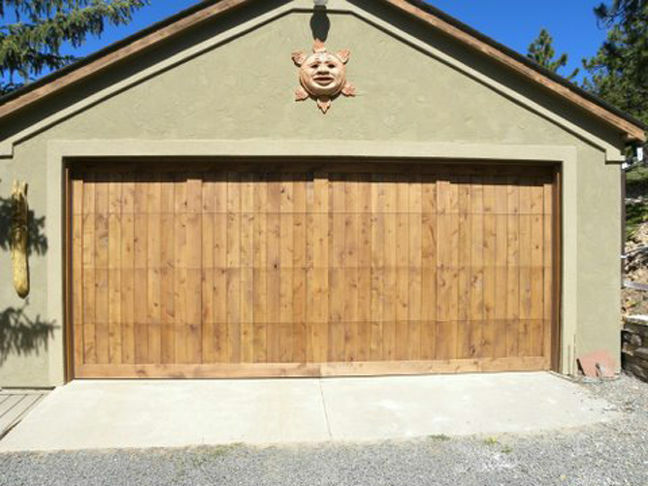 Don’s Garage Doors has been a member of Team Dave Logan, almost from the beginning, and has installed garage doors at Dave Logan’s home. Click here to learn more. 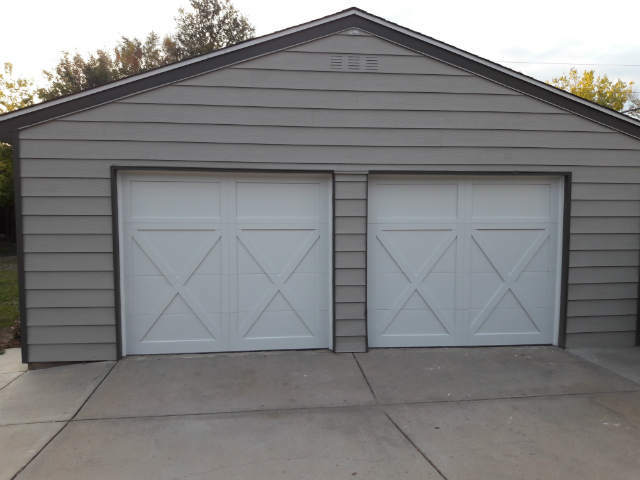 Don’s Garage Doors has been on Tom’s referrallist.com site for over 20 years. When Tom needed new doors on his home & barn he choose Don’s Garage Doors over all the other companies to install his eight new doors. 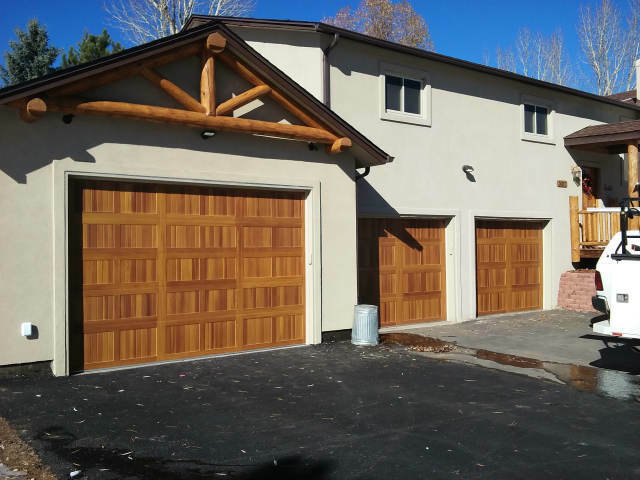 Don’s Garage Doors is personally endorsed by Troubleshooter Tom Martino for quality garage door installation and repair in Denver. We’ve been taking care of your friends and neighbors in the Denver area or over 28 years, and have over 102,000 satisfied customers. We’re locally owned and operated and service all brands of garage doors. The staff and garage door repair techs at Don’s Garage Doors pride themselves at always providing the best service and delivering a satisfying customer experience. The team at Don’s Garage Doors pride ourselves on always providing the best service and delivering a satisfying customer experience. We have the best garage door techs in the business, and they are constantly training and staying up-to-date on the latest industry trends. And, you’ll often see Don himself on the job site. Our customers love the work they’ve received from Don’s Garage Doors, and they’re happy to share their experiences online. We have a 5-Star Rating on Yelp with over 120 reviews, a 5.0 Star Rating on Facebook and a 4.8 Star Rating on Google+. So, wherever you prefer to read online reviews about garage door repair and service, you’ll find dozens of happy Don’s Garage Doors customers. We’re proud of our reputation and work hard to earn your trust. We have great online reviews and a A+ BBB Rating. We only use the best brands, hire the best people and deliver the highest quality customer service. We know our stuff! From the person who answers the phone to the tech repairing your garage door, we only hire the best. Serving Denver & surrounding communities. Call Don’s Garage Doors today for installation, service and maintenance. A new garage door can add curb appeal, improve security and add value to your home. Our American made doors are crafted of the highest quality materials, including wood, fiberglass, steel and aluminum. Call Don’s Garage Doors when it’s time to replace your existing garage door – we will work with you to find the best garage door for you home and budget. 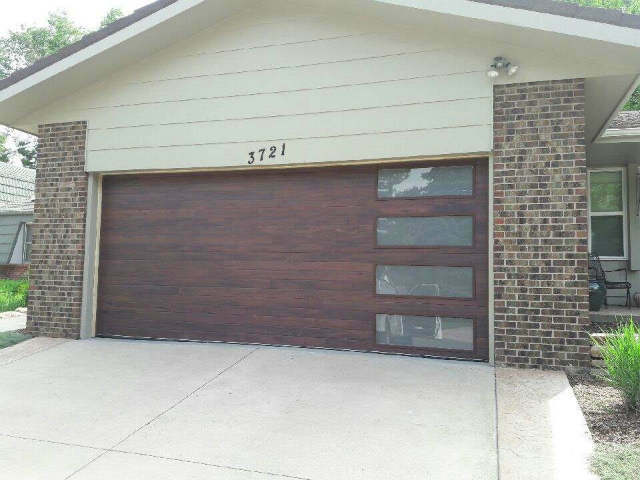 Click on any of the images below to begin a slideshow of new garage doors we’ve installed. Need a New Garage Door, or Garage Door Repair? Don’s Garage Doors sells and installs new garage doors from doorLink, Martin Door, Northwest Doors and C.H.I. Overhead Doors. Contact us today for a no-obligation, garage door replacement quote.